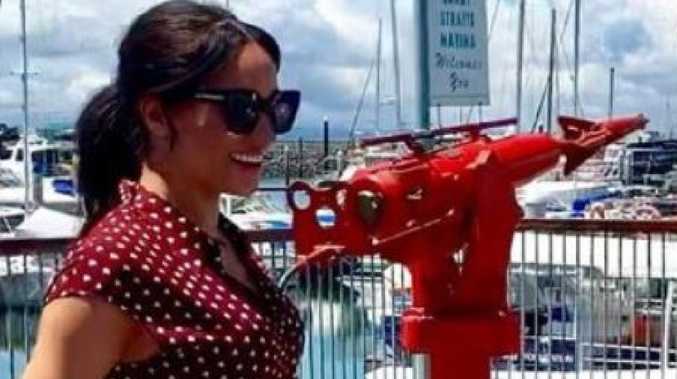 MEGHAN Markle has stripped back her designer wardrobe for her arrival in to Queensland, stepping out in a button up dress that retails for less than $200. The Duchess of Sussex who has been snapped wearing some of Australia's biggest designers during her royal tour - including Dion Lee and Karen Gee - but today she opted for a little known label '& Other Stories', which is branded under the H&M Group. Prince Harry and Meghan Markle pictured boarding a plane at Sydney Airport this morning to fly to Fraser Island. Picture: David Swift. Stepping out for Day 7 of the royal tour, Meghan kept her look casual with a $AU163 button up shirtdress, which featured a burgundy and white pattern, pointed collar, a cinched waistline and a waist tie. The label, which retails everything from shoes to swimwear, jeans and dresses, was founded in 2010 by a small group of creatives in Paris, Stockholm and Los Angeles. The only problem is that while it may be affordable, you can't actually get it shipped to Australia. Tying her hair in a ponytail, Meghan was quick to step off the plane and into an awaiting car as she arrived at Hervey Bay airport with her husband Prince Harry. She paired the mid-legth dress with a pair of Sarah Flint sandals, which retail for AU$345. The simple brown sandals, which feature a 10mm flat soul, vanchetta upper and full leather soul. The designer has quickly become one of Meghan's go to brands, having worn the label on multiple occassions. 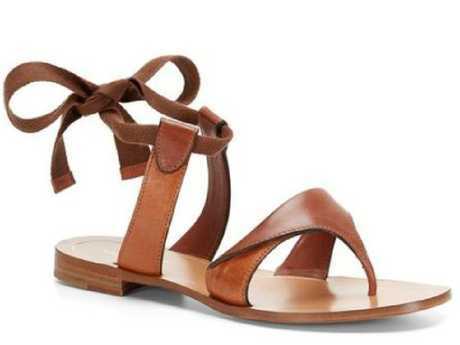 The sandals retail for $AU345 and are by Sarah Flint. According to Harper's Bazaar, the Duchess has worn the New York-based shoe brand over 20 times, especially when it comes to flats. 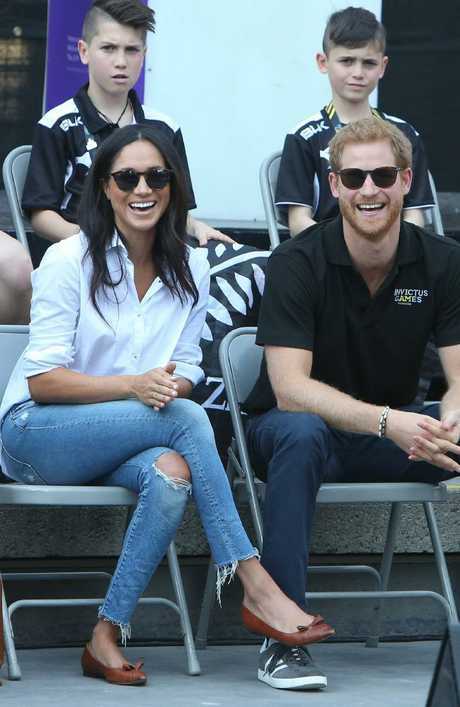 Meghan stepped out in a pair of Sarah Flint's Natalie flats on a number of occasions, including her first official appearance with Prince Harry, at the Toronto Invictus Games in 2017. She was also wearing Sarah Flint on her first unofficial appearance with Harry-the Sophia boots-on a date in London in December 2016. Word on the street is that Meghan is wearing a pair of sunglasses by New Zealand designer Karen Walker (she also wore Karen Walker earrings in Sydney earlier this week). Queenslanders were yesterday met with the news that the Duchess of Sussex would not be taking part in any scheduled events on the island. Kensington Palace said while the Duchess would be taking it easy, those going to meet the Duchess may still get to see her. 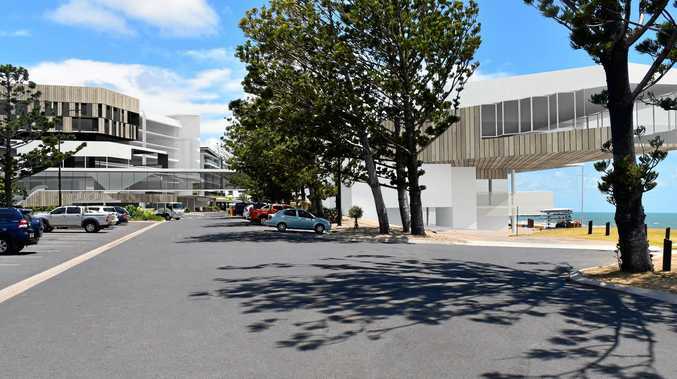 A spokesman has confirmed to news.com.au they're "working towards" a public appearance on the island today - most likely at Kingfisher Bay Jetty for the scheduled meet-and-greet with the public later this afternoon. Meghan stepped out in a shirtdress by & Other Stories, and a pair of brown sandals by Sarah Flint sandals. The spokesman also confirmed Meghan will spend the day getting some rest at Kingfisher Bay Resort - where the couple will spend the night - while her husband follows through with the scheduled commitments around the island. Yesterday, the Duchess of Sussex kept her look chic with a pair of $200 sneakers. Picture: Chris Jackson/Getty Images for the Invictus Games Foundation. 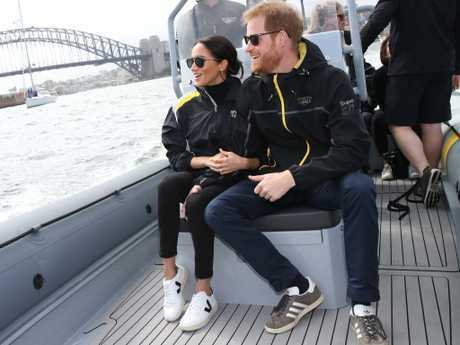 Yesterday, the Duchess of Sussex kept her look chic with a pair of $200 sneakers, black jeans and an official Invictus Games weatherproof jacket while attending a sailing event. Swapping her signature high heels for white trainers, the simple shoes are from sustainable French label Veja. The white sneakers have a black V pattern on the side of the shoe, and are made from sustainable leather, recycled plastic bottles and wild rubber. The shoes are a hit with celebrities and influencers, including actor Emma Watson.